Although Freeman’s first detective novel, The Red Thumb Mark, appeared in 1907, well before the beginning of the Golden Age, Freeman, a contemporary of Arthur Conan Doyle, continued writing mystery fiction until the year before his death in 1943. 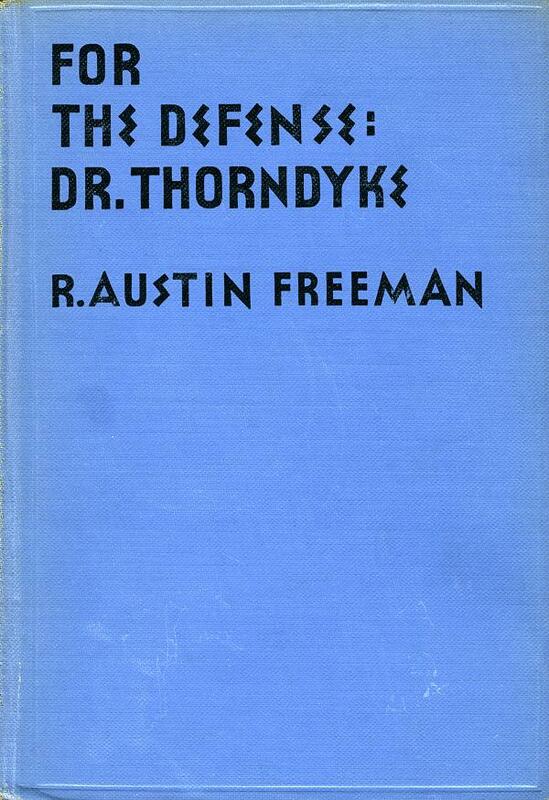 Between 1922 and 1938, Freeman published fifteen detective novels and three collections of detective short stories, all but one detailing exploits of his then-famous detective (and the greatest rival of Sherlock Holmes), medical jurist Dr. John Thorndyke. Two more Thorndyke novels appeared in 1940 and 1942, outside the proper span of the Golden Age. 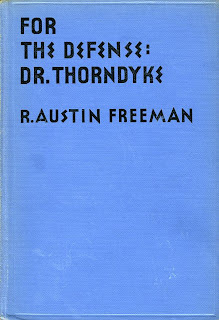 Though some of Freeman’s best works, such as The Eye of Osiris (1911) and the short-story collections John Thorndyke’s Cases (1909) and The Singing Bone (1912), were published before the Golden Age began, Freeman produced many superb Golden Age works, including the three later short story collections Dr. Thorndyke’s Casebook (1923), The Puzzle Lock (1925), and The Magic Casket (1927) and novels such as The Cat’s Eye (1923), The Shadow of the Wolf (1925), As a Thief in the Night (1928), Mr. Pottermack's Oversight (1930), The Penrose Mystery (1936), and The Stoneware Monkey (1938). I don't possess all of those books, but of those I do own Mr. Pottermack's Oversight is a favorite, as are a couple he doesn't mention, A Silent Witness  and For the Defense: Dr. Thorndyke .